2018 Speedo Sectionals at Carlsbad got underway last night with the finals sessions for the men’s 1650 free and the women’s 1000 free. Kicking off the action was Cathryn Salladin in the women’s 1000 free in a time of 9:50.59 followed by Stephanie Su in 9:54.31 while Liberty Williams posted a 9:56.16 for third place overall. RMDA’s Kevin Vargas swam a 15:21.87 to win the men’s 1650 free ahead of NOVA’s Christopher Mykkanen (15:25.98) and Jude Williams (15:33.63). Tonight we saw SoCal’s Elise Garcia swim a 53.62 in the women’s 100 fly ahead of GSC’s Anicka Delgao (53.84) and Zephanie Koh (54.62). In the men’s race the A final was separated by only 1.2 seconds total, with the top three only separated by .3 seconds. Spencer Daily (48.37) took the win with Connor Lee (48.56) and Daniel Syrkin (48.63) following in second and third, respectively. NOVA’s Mackenzie Degn nabbed a win in the 500 free by swimming a 4:48.35 which was good enough to hold off RSD’s Rachel Rhee who posted a 4:50.44. Taking third was NOVA’s Shayla Erickson in 4:51.13. 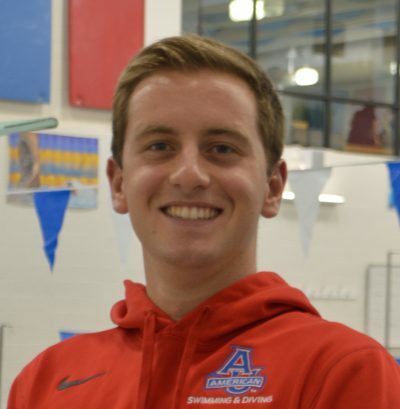 The men’s 500 free A final was led by Andrew Koustik who won the race in a 4:25.34, followed by Kevin Vargas (4:27.37) and Jude Williams (4:28.16). CITI’s Alexandra Crisera (53.72) and NOVA’s Ayla Spitz (53.75) went 1-2 in the women’s 100 back with Samantha Pearson swimming to a third place finish in time of 54.46. Colby Mefford won the men’s 100 back in a 48.95 while Brandon Kulik took second in a 49.90. Hayden Liu nabbed third place in a 49.95. SoCal’s Samantha Shelton was the only woman to dip under the 2:00 mark in the 200 IM by going a 1:59.40 with NOVA’s Ayla Spitz just barely above in 2:00.49. Justina Kozan touched third in a time of 2:02.09. Hayden Liu won the men’s race in a time of 1:49.45, just a half-second ahead of Nick Ding who swam a 1:50.04. Ben Millard took third in a time of 1:51.05. Tomorrow’s prelims begin at 9 a.m. PST.